The road to Rock Lake in Algonquin Provincial Park in Ontario, Canada becomes more colorful everyday when the Fall season takes over the forest and the leaves blanket the landscape. At the base of a forest tree, the leaves surround the area leaving a display of red, green, yellow and orange hues. 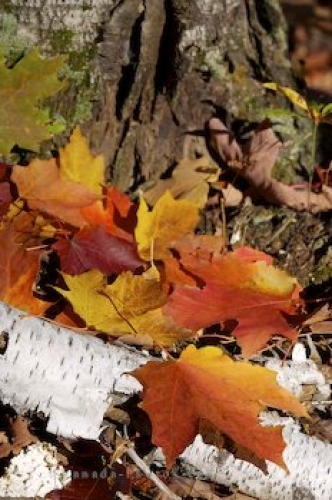 Picture of the colorful display of Fall leaves in the forest in Algonquin Provincial Park in Ontario.